Real-time systems usually encompass parts that are best described by a continuous-time model, such as physical processes under control, together with other components that are more naturally formalized by a discrete-time model, such as digital computing modules. 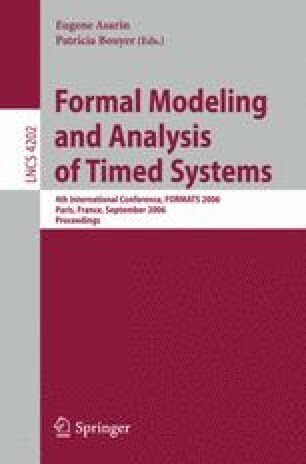 Describing such systems in a unified framework based on metric temporal logic requires to integrate formulas which are interpreted over discrete and continuous time. In this paper, we tackle this problem with reference to the metric temporal logic TRIO, that admits both a discrete-time and a continuous-time semantics. We identify sufficient conditions under which TRIO formulas have a consistent truth value when moving from continuous-time to discrete-time interpretations, or vice versa. These conditions basically involve the restriction to a proper subset of the TRIO language and a requirement on the finite variability over time of the basic items in the specification formulas. We demonstrate the approach with an example of specification and verification.